| New York, NY - October 12, 2017 | Wolf-Gordon continues to build its upholstery program with eight new designs joining their distinguished Woven Upholstery 02 collection. The update is a spectral gathering of chic and structured textiles, which includes the innovative Infinite Neutral. From bold hues of red, yellow, and blue that reflect an influence of the Bauhaus to a mix of variations on these primaries that imbue a unique depth, the additions use the building blocks of color to reimagine its capabilities in textile construction. The pièce de résistance of the new upholstery textiles is Infinite Neutral, an exquisite woven fabric with tonal richness that is activated when used with solid color accents. 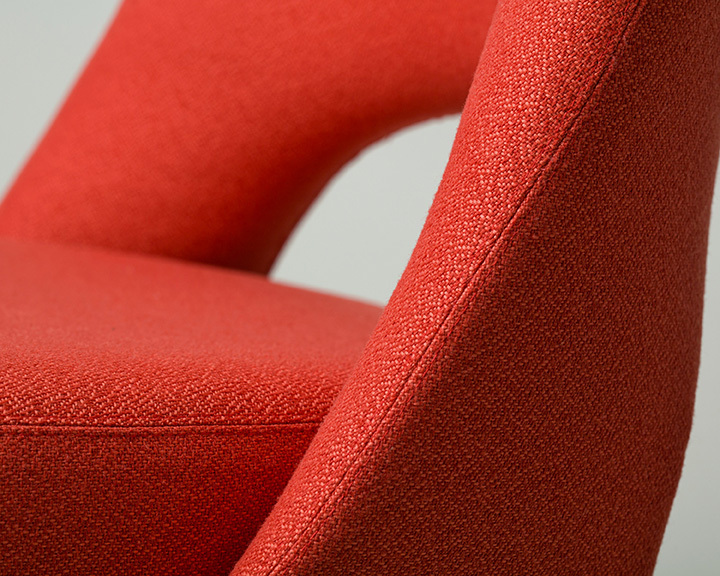 Designed by Morgan Bajardi, the distinctive construction was previewed at this year’s NeoCon. Four patterns, Aire, Anni, Anika, and Infinite Neutral, have been tested by the ASTM E84 Unadhered method and meet the requirements for wrapped panels, expanding Wolf-Gordon’s range of application offerings. 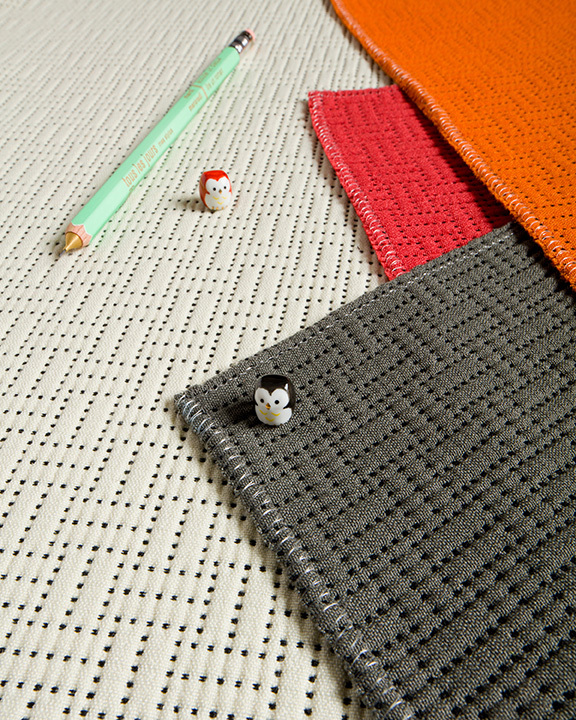 Adrien: A modern, geometric matellaise made of 100% polyester, Adrien is a soft and luxurious, eco-friendly construction with no chemicals added in its finishing process. The pattern comes in 13 different colors with a 100,000 double rub count. Aire: A simple crepe-textured textile that comes in 19 colorways and is a practical choice for task seating and other upholstery applications. Aire is stain and abrasion resistant, meeting the 100,00 double rub threshold. Anika: Made of 100% post-consumer recycled polyester, Anika is a graphic repeat coming in 9 color options, that meets the 100,000 double rub threshold. Anni: In homage to Anni Albers—one of the most influential textile artists of the 20th century—this functional fabric utilizes a weave structure. Anni comes in 13 bold colors, and meets the 100,000 double rub threshold. Aldrich: Soft and fuzzy wool is blended with polyester and nylon for enhanced durability in this fiber-dyed upholstery textile. Aldrich has 28 seasonally-influenced colorways, and meets the 100,000 double rub threshold. Barnaby: Three different types of polyester yarn are twisted together and woven with a special loom to create this textural fabric. Since each yarn takes dye differently, the finished textile has an appealing marled effect, and it comes in 18 colorways. Barnaby meets the 100,000 double rub threshold. Cora: A pattern formed of radiating rectangles reminiscent of a classic Greek key design, Cora is woven with tight-looped polyester bouclé yarns to create a pleasingly tactile fabric, coming in a natural palette of seven different colors. A stain-resistant treatment is applied to the bleach cleanable fabric that meets the 100,000 double rub threshold. Infinite Neutral: This complex textile blends thirty different yarns, each of individual pigment, to create the ultimate neutral. The designer, Morgan Bajardi, referenced her background in oil painting and color theory in an exploration of mixing primary colors for the 4 tones offered. Infinite Neutral meets the 75,000 double rub threshold. Wolf-Gordon is an American design company offering a wide range of interior surfacing products united by the common qualities of excellent design and dependable performance. Founded in 1967 as a comprehensive source for wallcoverings, its product line has since added upholstery and drapery textiles, paints, and Wink clear, dry-erase coating. Through its collaborations with leading national and international designers and in its Design Studio, Wolf-Gordon continues to develop new work that is provocative, inspiring, and of our time. Wolf-Gordon’s growing portfolio of licensed collections includes designs by Laurinda Spear, Karim Rashid, Petra Blaisse, Grethe Sørensen, Kevin Walz, the Boym Partners, and Tjep. Wolf-Gordon sales representatives are based in all major markets in the United States.